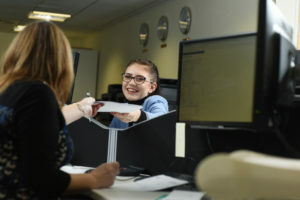 We tailor our apprenticeship programmes and work with our Apprentices through on the job training, learning & development programmes and English and Maths support. Download: What does an Apprenticeship look like? Helps them gain practical knowledge in their chosen careers. Enables them to develop critical skills needed for the world of work, such as team work. Provides a chance to prove their ability to an employer. Enables them to gain an employer reference and to gain up to date skills relevant to the industry they are working in.